Denny Jump (Bellevue, WA, United States) on 7 December 2011 in Lifestyle & Culture. 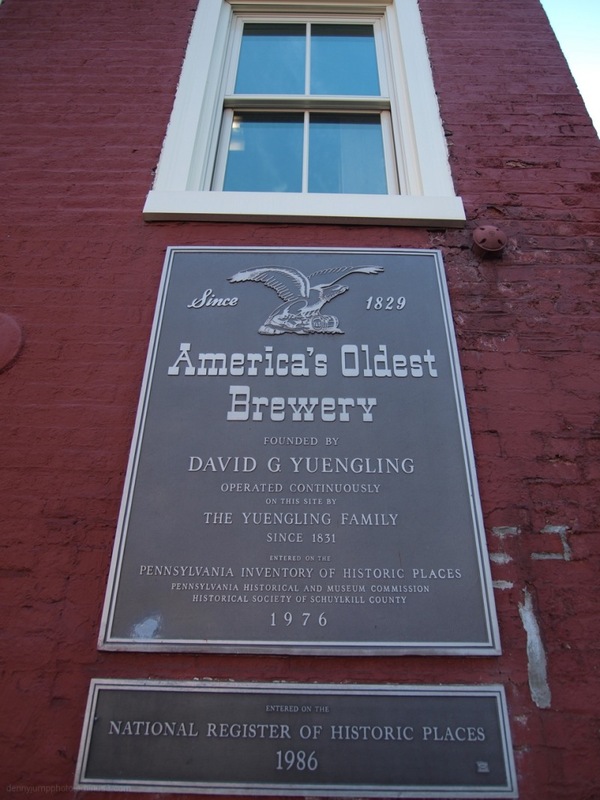 Yuengling Brewery, located in Pottsville, PA, e about 1 hour west of Easton, PA is America's oldest Brewery. Not old, perhaps by European standards, but it takes the prize here in the states. I took my son , son-in-law, and grandsons to this brewery for a tour of history as well as beer making. A few images will follow this one in a short series. I felt that this image would be a good start. Look forward to seeing more. Did the tour include samples? At 180 years old it begs you to ask where the family originated and where they learned the art of brewing. Wonder what brands they make and how they taste compared with the giant brewers? Good job getting all of that into the shot. Looking forward to the rest. Great establishing shot, Denny. I hope you got to sample the beer on the tour! Very nice! Our Canadian Molson breweries date back to 1786, and I believe our oldest independent brewery is Moosehead (what a Canuck name, huh?) from 1820-something... and this one here among all the other old "New World" breweries on this side of the Atlantic just go to show you : If you want to get into business and make it last, get into making good beer! :-) Nice pic, Denny; looking forward to more. Wow... Impressive ! 1829 !!! Beer industry is very important here in Belgium too. Great capture! Love the sign on the rich brick red painted bricks, great shot. One of my husband's favorite brews! Have a nice day Denny! Bravo. A stout start, indeed. I love the history you provide us. Good lead in to the brewery. Denny, how I'd lve to visit this with you. Can we drink beer too? Great POV! This is my son's favorite beer! History comes in all shapes and sizes and a brewery is as valid as any. I cannot remember having ever consumed beer but I looked over the doorway of the nearest brewery to me here and it carries the date of 1661 and they are still going strong. A neat shot. Is their beer any good?